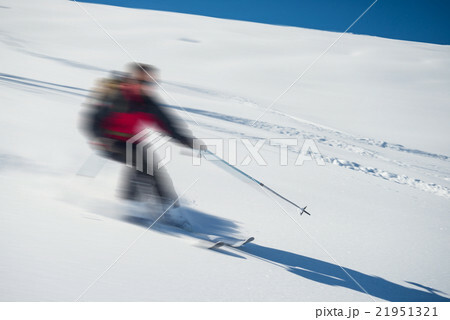 One person skiing downhills off piste on snowy slope in the italian Alps, with bright sunny day of winter season. Thick Powder snow with ski tracks. Blurred motion.